Yang Earth people are currently in very lucky period for business and making money. This period lasts from 2004 to 2024. Mark Zuckerberg started his company exactly on beginning of this lucky period, February 2004, and in the year of Yang Wood / Monkey, which is loaded with his favorable elements. 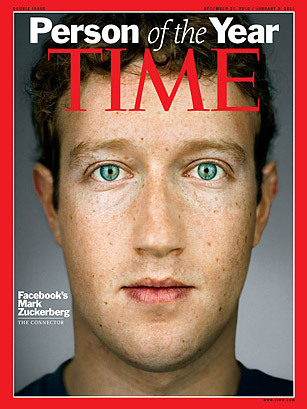 Therefore it’s not surprising that Facebook became one of the biggest and most famous companies that emerged in last few years, founded by this extremely strong Yang Earth personality. For the last Yang Metal in this series we are introducing a classic hollywood bad boy, Charlie Sheen. As we all learned (we hope) through this series of Yang Metal personalities, they can be rather stubborn and merciless. 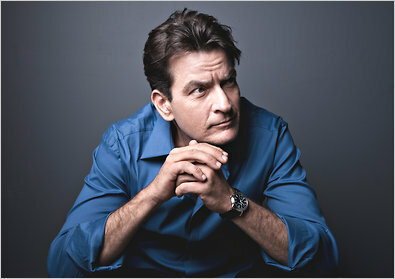 Charlie Sheen shows this very well in the way how he is handling his career and personal life. One of the biggest threats for Yang Metal people is if they choose a wrong direction in life it can be extremely damaging for themselves and others and it’s almost impossible to stop them. Their path is their mission. Today we are introducing a young singer who shook and shocked the world with her outstanding songs, unmistakable voice and utter brilliance. Adele is a strong Yang Metal person, born in Dragon year as well as Dragon month. Her way of singing and creating music is very powerful, typical for the mighty Dragon, combined with a Yang Metal personality. How strong Yang Metal people can actually be becomes apparent by the fact that 3 top heavyweight boxers are Yang Metal. Mike Tyson, George Foreman and Muhammad Ali. Muhammad Ali, the greatest boxer of all times has an extremely large amount of metal including a large percentage of Yin Metal, which explains his great ability at using the media and presenting himself. It is time for another special lady, whose appearance may not immediately evoke association with the Yang Metal element, but behind her for ever most carefully suited attire lies true strength and great power. Queen Elizabeth II is a tough, hard working Yang Metal person. After checking her chart more closely you will notice some truly powerful and supporting components . Besides Yang Metal she has Yang Water and Yang Fire as main elements. Below are two Dragons and one Tiger. Unfortunately we don’t know her time of birth but even from this we can draw the conclusion that Queen Elizabeth is an extremely powerful woman. Olympic games in London have just finished so it’s good time to present one of their biggest stars, Michael Phelps, the greatest olympian of all times who won 22 medals in 3 olympic games which is absolut record. Phelps has one of the best element combinations for training sports, Yang Metal and Ox, both being naturally hard workers, can handle enormous pressure and are extremely competitive. Yang Metals do not like to lose and only recognize the first place as success. Our Yang Metal Week continues and today we are presenting one very special lady, the Iron Lady, Margaret Thatcher, former primeminister of Great Britain. We hope that there is nobody out there who still believes that her nickname, Iron Lady, and her Yang Metal personality are just coincidence? As you can see here again, there is no such thing as coincidence in life. Ever. Here we go, our second week will be dedicated to the most hard working element of all, Yang Metal. After researching candidates amongst famous people to present here we came to the conclusion that Yang Metals are often multi talented and due to their hard working personality, can pursue several successful careers during their lifetime. Now, for the last Yin Metal this week we left a very unusual one, or we could say, a Yin Metal would be our last choice if we would have to guess, but somehow it all makes sense. Osama Bin Laden is most famous for two things, his terroristic actions, including the 9/11 attack, and his appearances on video tapes where he was leaving messages for the whole world.